… Apple is said to have purchased Matcha.tv for an estimated $1 to $1.5 million, according to VentureBeat’s source. Yet, the final amount could have been much higher, considering that Matcha.tv was seeing regular growth and was routinely ranked among the top 15 entertainment apps listed in Apple’s App Store. Another source tells VentureBeat that the purchase price is definitely incorrect, but couldn’t comment further. 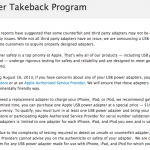 The service was launched in January 2012 and was abruptly taken offline last May. Matcha co-founder and CEO Guy Piekarz told TechCrunch, though, that the company was not "shutting down" and that it was just working on a "new direction." Apparently, that "new direction" has led Matcha toward Cupertino, where Apple may or may not be working to revolutionize the TV industry. 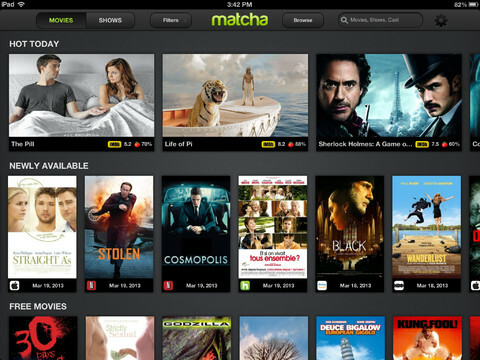 Back when it was still available, Matcha afforded users an easy way to find and watch their favorite streaming movies and TV shows in one place. It offered a powerful search, discovery, and recommendation functionality across the most popular video services, including Netflix, Hulu, Amazon, Comcast, and, of course, iTunes.